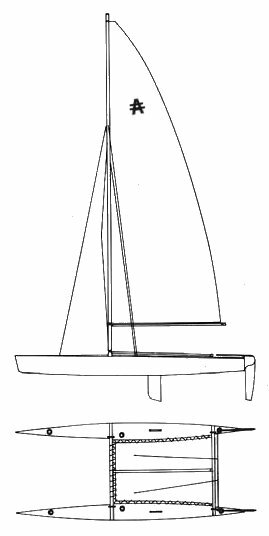 Australian designed 'A' class that trounced the competition at the 1967 IYRU selection trails for a new single handed catamaran. Almost immediately it was granted international status and licenses were granted to a number of builders around the world. However, the class never achieved any wide spread popularity and the International designation was withdrawn in 1973.